Two-phase project that converts a former beverage-distribution company into a modern worship center. The 60,000 sf facility also houses a weekday childcare and preschool program. Phase 2 involves a traditional sanctuary. 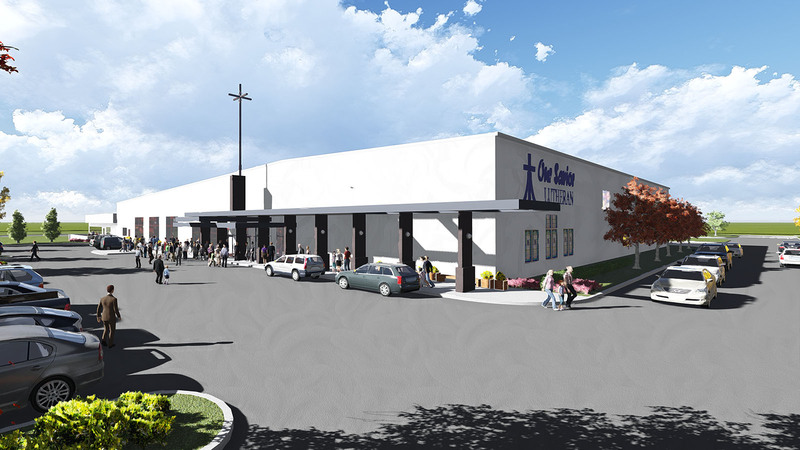 TSP completed a full planning study for this church that had undergone rapid growth of its congregation and helped it convert a former beverage-distribution company into a modern worship center. The office spaces in the 60,000 sf facility needed little retrofitting to match the church’s administrative and adult education program needs. The two-phase project remodeled two large, open warehouses and the east half of an interior, three-bay loading area into ministry and education spaces. Phase 1 included a contemporary worship center for up to 600 people, a narthex for fellowship activities, and dedicated classrooms to host religious education for kindergarten through 12th grade and a licensed childcare and preschool program during the week. Those included security enhancements for the childcare and Sunday school programs.